SoCo Club Sport is actively recruiting talented and energetic men and women to help promote, organize, and facilitate our many exciting sports leagues! 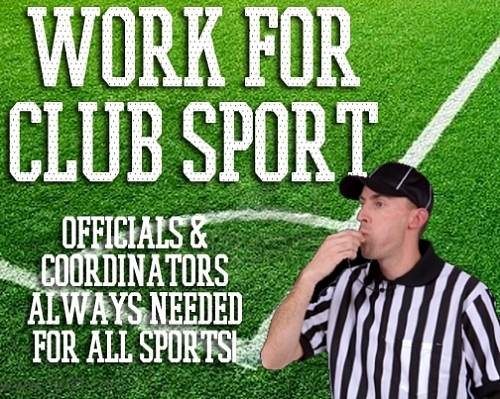 We are continually hiring umpires, referees, scorekeepers, and league coordinators. Soco Club Sport is also looking for a Full Time operations manager. CLICK HERE for the job description, requirements, and application.